I am ADDICTED to iced coffee. And I am mostly addicted to Dunkin Donuts coffee…hot OR iced. Most mornings in the summer, you will find me with a large iced coffee cup from D&D glued to my hand until about 10am. 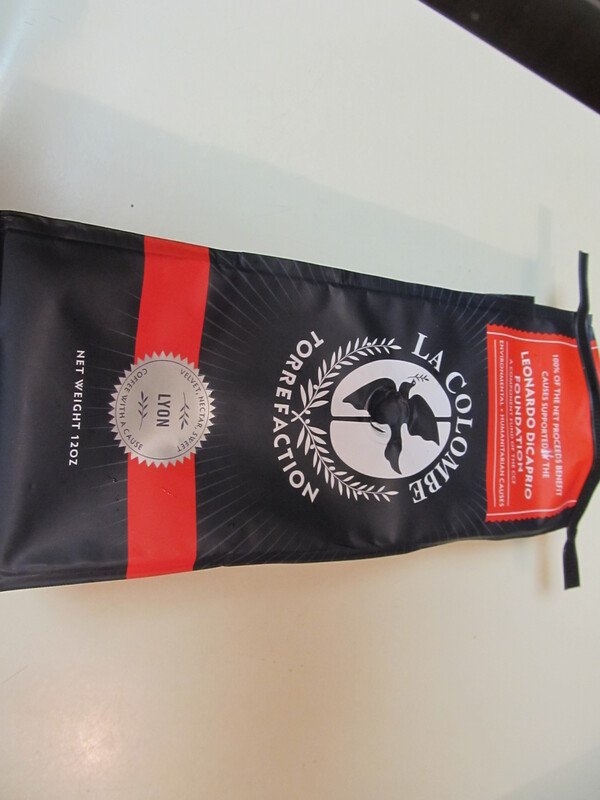 This is my favorite coffee….La Colombe. It’s a treat for me whenever I’m in Philly! I realized that I didnt want to pay for iced coffee every single morning, but needed to know it would come out delicious if I did it myself. I tried making coffee the night before and putting it in the fridge – blech. 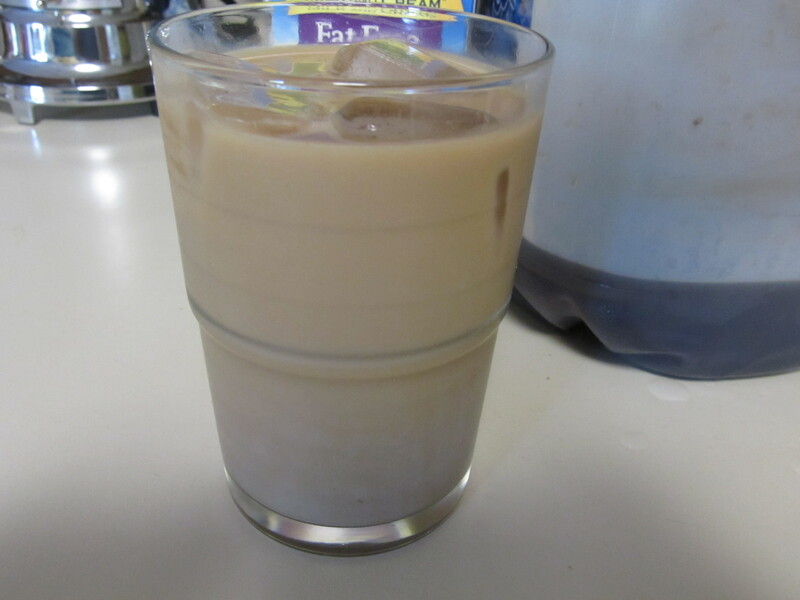 I looked into cold brewing iced coffee. I knew THAT would be the ticket! 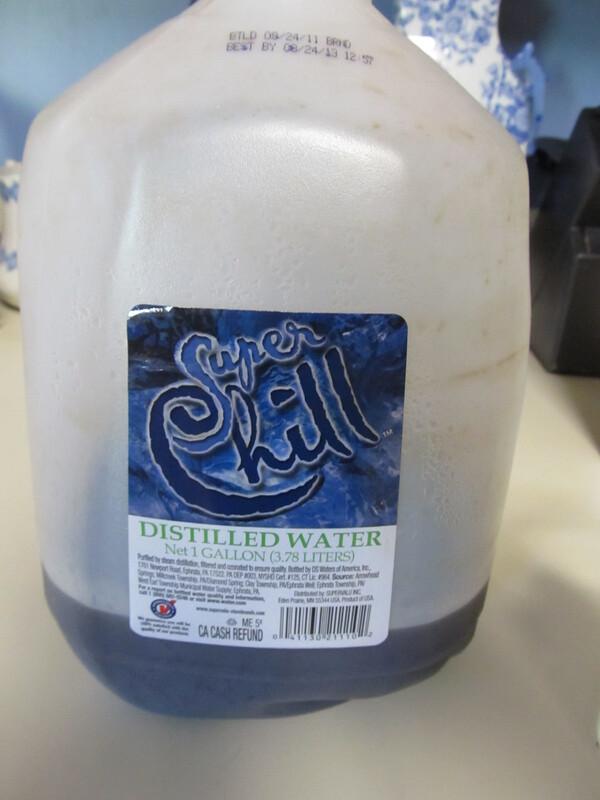 Cold brewing leaves you with a smooth, acid-free coffee base that serves as a refreshing cold drink. It wont taste bitter. This definitely takes a little bit of work ahead of time, but it leaves you with a gallon of iced coffee to pull from in the fridge for up to a month! View from the top of the pitcher! 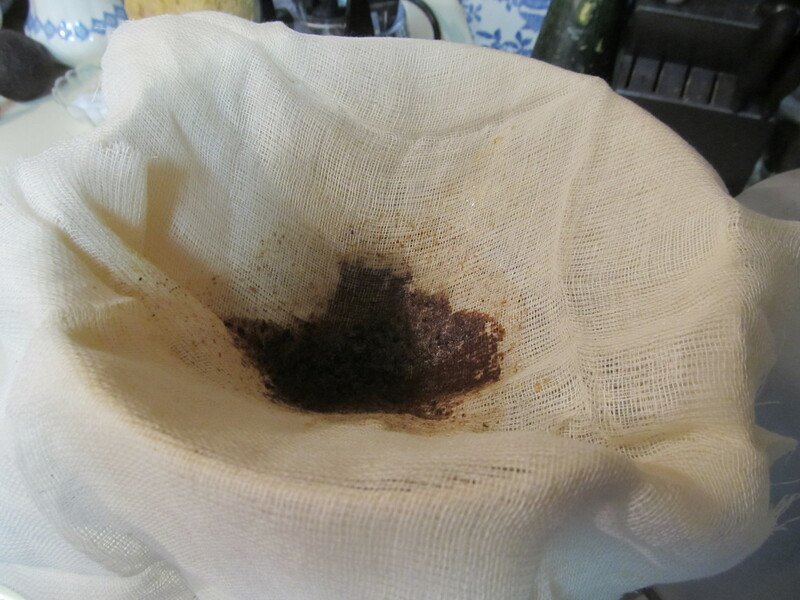 It is messy work separating the coffee liquid from the grains, but it’s well worth it for tasty iced coffee! Having a funnel is the BEST tool to use here…..just line the funnel and pour on through! Pouring strained coffee back into the jug for decent storage in the fridge! 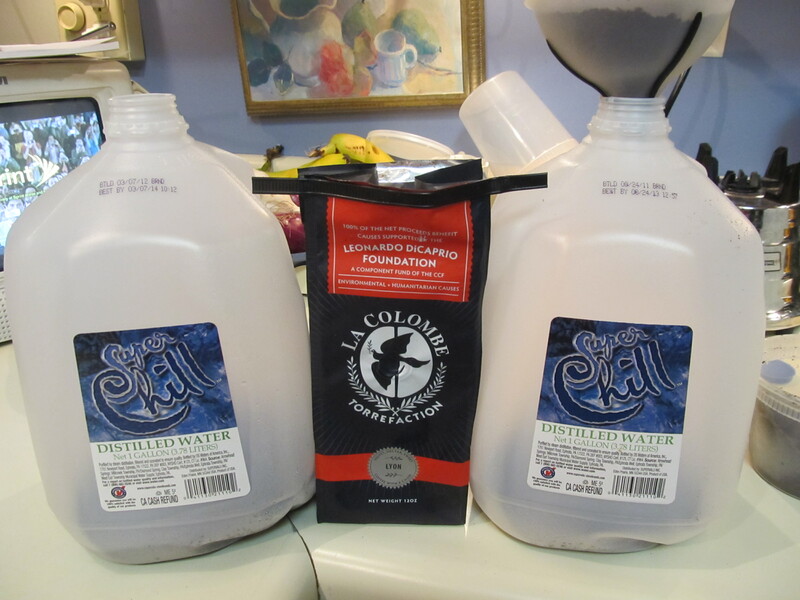 I re-used old water jugs that I get from the store – they were the perfect thing to store the coffee in the fridge. Dont pay any attention to how much is LEFT….I should have taken the picture when I first made it. Here is how I like to take my iced (or hot) coffee – just with cream. At home I use fat-free cream. 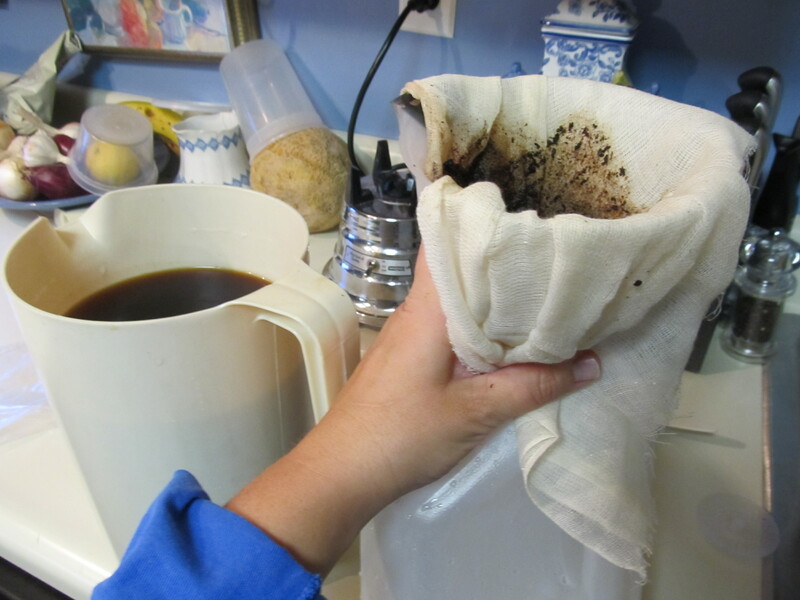 Pour coffee into the large pitcher or arge bowl and cover with 4 quarts (1 gallon) filtered water. Stir so that all the grounds are submerged, cover, and let sit for 8-12 hours. 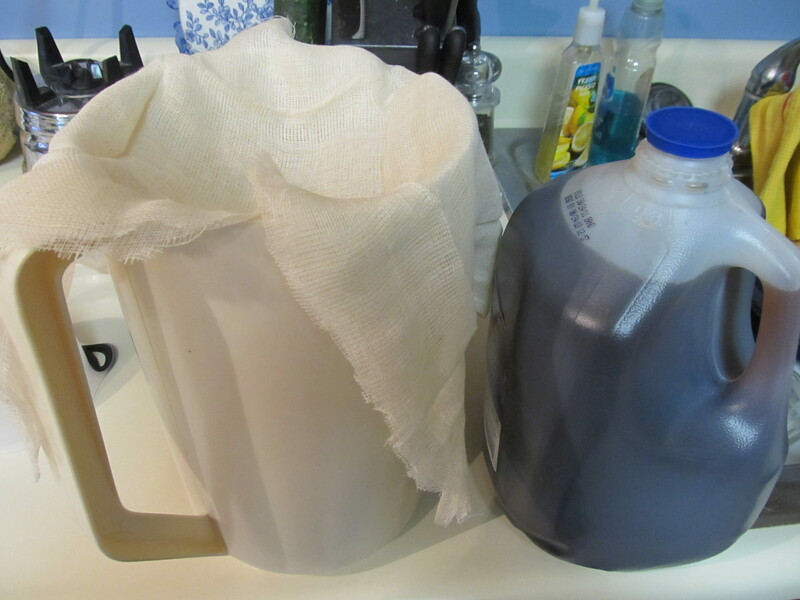 Strain over cheesecloth or paper towels into a pitcher, cover and put it into the fridge. This will keep for a couple of weeks in the fridge. 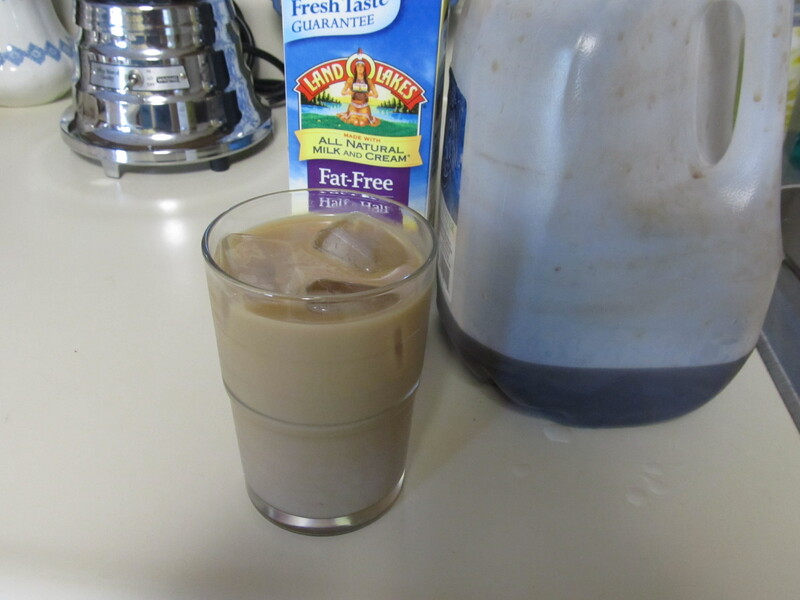 Everytime you want fresh iced coffee, just pour and fix it as you like! if you freeze some of the coffee in an ice cube tray you can use those cubes and avoid watering down your drink! I can’t believe you did not use the costa rican coffee I brought home! This coffee was already MADE when you gave me the costan rican one 🙂 I am saving it for wintertime! Laura…I had NO idea! I too am a DD Whore! I am a slave to the DD……I love it. And I dont plan on stopping anytime soon. It’s the best time of the year at D&D – pumpkin spice time! Interesting! I’m not a huge coffee drinker, but I like this cold brewing technique!